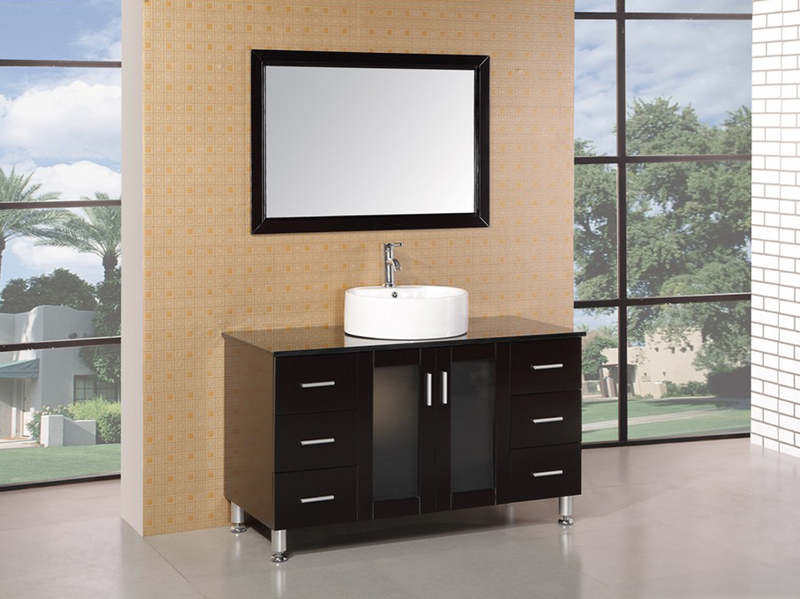 The Malibu Single Bath Vanity has the clean and sleek style that is ideally suited for a modern bathroom. 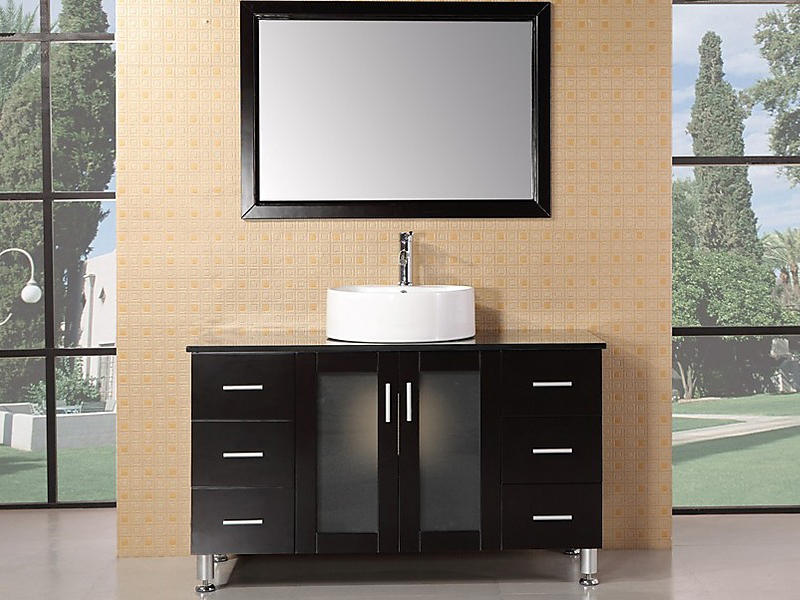 Beyond its stylish design, this vanity features quality construction from solid oak, ensuring its good looks won't warp with age. 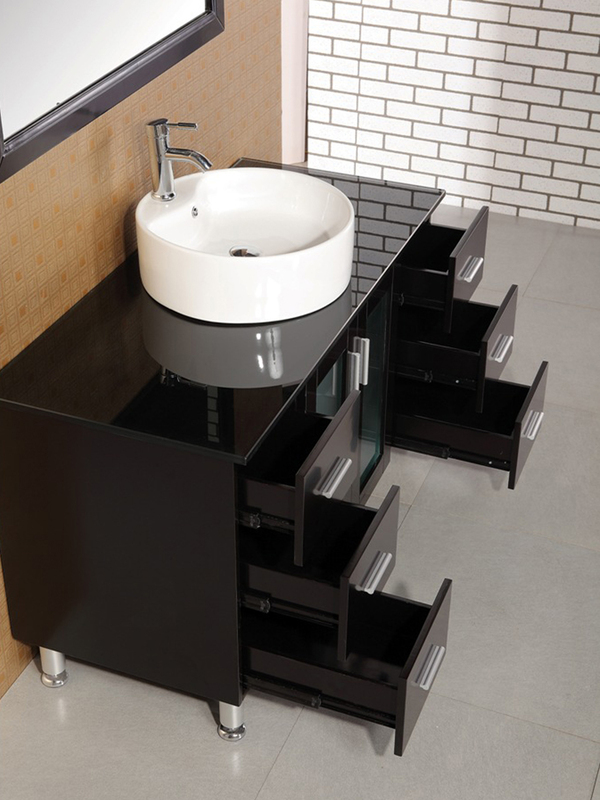 A beautiful porcelain vessel sink stands out from the vanity's espresso finish and black tempered glass counter top for an eye-catching contrast. 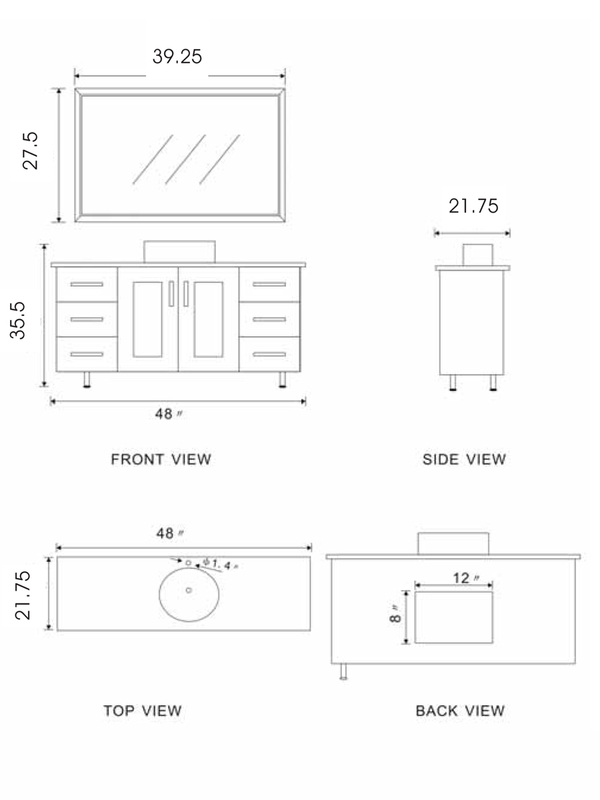 The counter top itself is extremely spacious, with six drawers and a cabinet also providing ample storage space for your bathroom accessories.